Laguna Beach California is a quaint coastal city in Orange County. 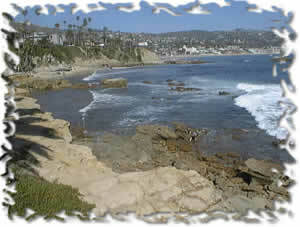 Laguna Beach offers hotels, spectactular scenery, art galleries, dining in a small town apmosphere. Laguna Pages is the only website that is dedicated to presenting our visitors with a complete listing of ALL that Laguna Beach has to offer. Select a category from the list on the left to see the list of Laguna Beach businesses in that category. Click on a specific business to to see the details of that Laguna Beach business.